Bordered by Deal Lake to the west and the Atlantic Ocean to the east, Allenhurst is one wealthiest and most prestigious boroughs of Monmouth County. With its close proximity to New York City and picturesque housing communities, Allenhurst continues to attract families and businesses to the area. 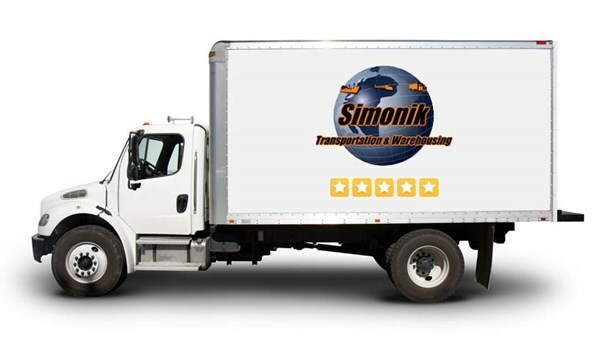 When you’re looking for the best New Jersey movers for your Allenhurst move, look no further than the experienced pros at Simonik Transportation & Warehousing. We’ve been the most trusted Allenhurst movers for area families and businesses since 1977, and we would love to add you to our long list of satisfied customers. Residential Moving: From local to long-distance moves, we offer the residential moving services you need for a stress-free relocation. Commercial Moving: Our expert moving crews work efficiently to complete your commercial move on-time, on-budget, and with minimal downtime for your business. Specialized Moving: High-value, fragile, sensitive, or large items often require special handling, and our fully-trained movers have the skills necessary for safe and secure transport of specialized items. International Moving: As a Registered International Mover and agent of Allied, we’re the Allenhurst moving company you can turn to for a streamlined and seamless international move. Storage: We offer both residential and commercial storage space in our state-of-the-art 79,000 sq. ft. storage facility. Warehousing & Distribution: With our professional drivers, extensive fleet, and specialized equipment, we can take care of all your warehousing and logistical needs. Don’t settle for anything less than the best when making your New Jersey move and call the experts at Simonik Transportation & Warehousing for service you can trust. For more information regarding our products and services, contact us today! Give us a call or request your free, no-obligation moving estimate by completing our quick online form right now.